Metro East Illinois’ Trusted Plumbing Company For Over 25 Years! Culler Plumbing Services has been keeping the plumbing of Edwardsville and the surrounding Metro East Illinois flowing for a quarter-century! We take great pride in offering quality plumbing services with state of the art technology. For all of your plumbing needs, contact us! Being the third oldest city in Illinois, Edwardsville is as unique and beautiful as it is historical. With a series of plumbing factories just South of this city, finding a local plumber in the multitudes can be more difficult than you originally thought. However it may seem, this is a good thing for you because local plumbers have to excel and compete for your business! Culler Plumbing has been providing the best possible plumbing services at a competitive price, and our success is proof of our dedication to those two qualities. 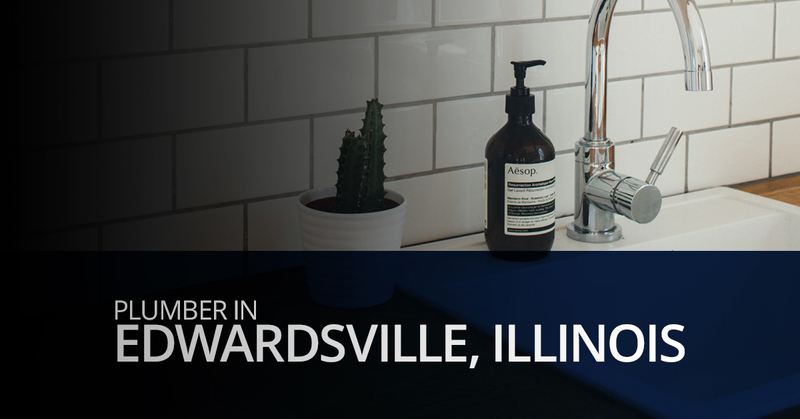 Since 1890, Edwardsville has been a city that is devoted to a quality of life for families and residents of all colors, creeds, and in all tax brackets, and Culler Plumbing has certainly adopted this value. Affordability and quality service are now at your fingertips, whether you are completing a bathroom remodel, installing a gas fireplace, have a leaking faucet, or have a real plumbing emergency, just contact us today to make us your favorite Edwardsville plumber! At Culler Plumbing, we understand that we are in an era of eager homeowners and a do-it-yourself attitude. We applaud those who tackle their own home improvement and repairs themselves. However, there are a few times that it is not advisable to make repairs on your own, for your safety and the health of your home. 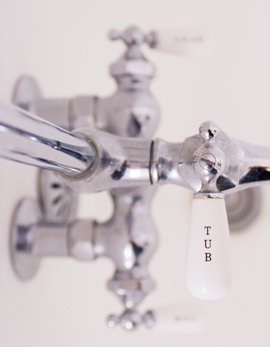 Here are some common plumbing problems that can cause a lot of damage very quickly. If any of these problems are happening in your home, give us a call right away! Your drains or toilet clog frequently. Don’t use costly drain cleaner that can cause more damage, contact us so we can get to the root of the problem. Your wall vibrates when you flush the toilet. You see signs of water anywhere — floors, walls, ceilings, around appliances, etc. You can hear water running when the faucet is off. Your water bill has gone up with no apparent reason. You can smell sewage, mold, or mildew. You notice cracks in the foundation or wet spots in the yard. Don’t hesitate to call us! Even if you are not sure, we can help diagnose and give you recommendations over the phone. We can schedule you for an inspection or plumbing repair, or if you have a plumbing emergency, we offer 24-hour plumbing services to get your system flowing again. In the news recently, there have been horrifying stories about how “plumbers” have scammed Edwardsville homeowners. At Culler Plumbing Services, we are deeply disappointed that scammers have created a shadow of doubt around our profession. Providing plumbing services to the Metro East Illinois area has been our passion for more than 25 years. We want to help local homeowners with all of their routine and emergency plumbing needs, and we do so with honesty and integrity that is backed with our transparent service plans. Door-to-door plumbers offer discounts on your plumbing work is probably not legitimate. There have been many nation-wide reports of people going door-to-door claiming to be plumbers offering inspections that don’t know a thing about pipes and only want access to your home or pocketbook. A licensed, reputable plumbing company won’t knock on your door but will answer your call. Sure, no plumber can know exactly what the final cost may be, without an inspection. So, if someone is eager to make over-the-phone promises, chances are that their eagerness will be short-lived. These scammers offer surprisingly low rates and then will find ways to increase the price once they have begun the work. This leaves you trapped while your bill multiples. At Culler Plumbing Services, our technicians bill by the job, not by the hour. So, you can rest assured that the price we quote is the price you pay. Additionally, we would never offer a quote without learning the facts. There are some companies that will charge based on suspected income. This means that if you live in an affluent neighborhood, you may be quoted a higher price than your brother who lives across town. These kinds of shady tactics are less obvious, but exploit the foundation of honest business. If you live in a better part of town and your quote seems high, it may be. This is a tactic used by many different businesses that supply parts as well as labor. They may charge you for high-end parts and not hesitate to use sub-par parts. This is where ensuring that they offer parts and labor warranties on anything they supply and pricing by the job is important. You’ve never heard of them. No, we do not expect you to know every local plumbing company. But, chances are you’ve seen ad campaigns or heard the name of local plumbers that your friends or families have contracted. If you stumble upon a plumber you’ve never heard of, look a little harder into how you found them. A legitimate plumbing company can easily produce verifiable credentials and can be searched publicly. 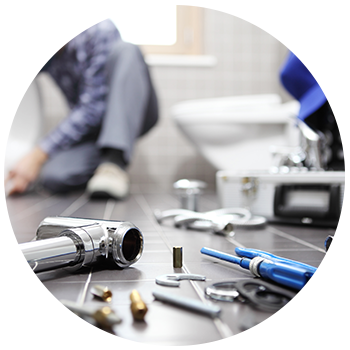 A bonafide plumbing company should be licensed, bonded, and insured, and ready to prove it. Honestly, you shouldn’t even have to ask for the information. If you ask about credentials and there is hesitation, excuses, or they can not produce any, proceed at your own risk! Culler Plumbing is licensed (License # 058-176496), bonded, and insured. At Culler Plumbing Services, we have been providing the best plumbing services in Edwardsville and Metro East Illinois for over 25 years. 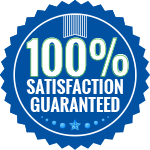 We have built trust based on our commitment to providing the best work at an affordable price, that is backed by our warranties and work ethic. We have an A+ rating by the Better Business Bureau and are a preferred local vendor by Angie’s List. Check out our online ratings, reviews, and testimonials, and then contact us for all of your plumbing service needs.